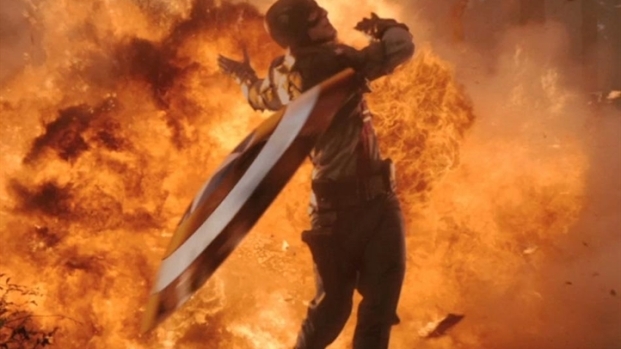 Paramount Giving Overseas Markets a Chance to Drop "Captain America" from "Captain America"
This is a classic "glass half full/glass half empty" scenario. 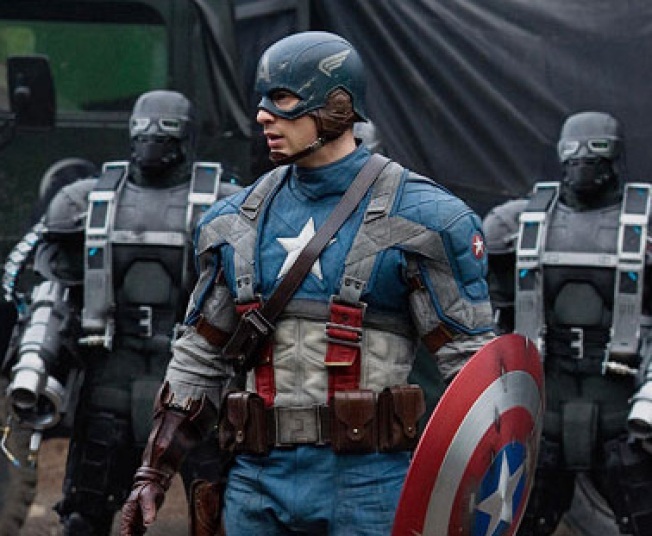 On one hand, Paramount Pictures is so concerned that the rest of the world hates our red, white, and blue guts that they have actually given overseas markets the option of releasing "Captain America" without ever having to say "Captain America." They were free to use the subtitle - "The First Avenger" - all by its lonesome. On the other hand, only three countries opted to do that! See? Not EVERYONE hates us! Happy belated Fourth, y'all! Russia. OK, fine. We can see that. South Korea. Really? SOUTH Korea? Sure you have that right, THR? And...Ukraine. WTF? Ukraine? What did we ever do to you except continue to refer to you as "Kinda, Sorta Russia"? This will all be a moot point anyway, seeing as Captain America is probably going to be released as "Shiny Democracy Man Free Market Boom Boom Go Yay" in Japan.